Clinically Proven to help you lose weight and keep it off! 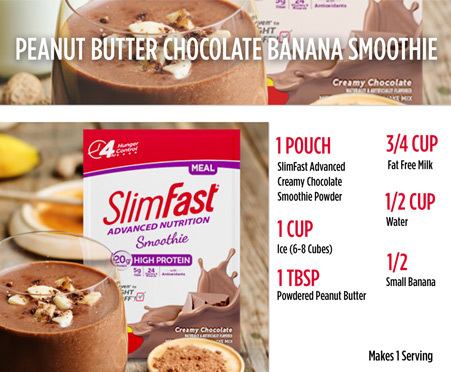 Try creamy, delicious, protein-packed SlimFast® Smoothies! 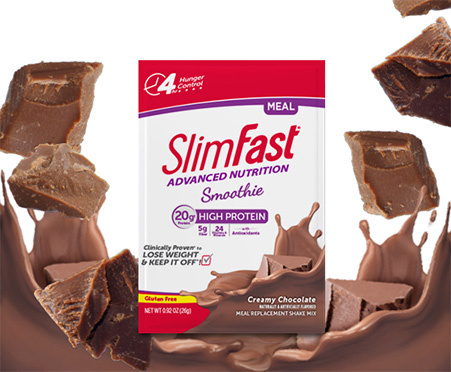 SlimFast® Advanced Nutrition smoothies are packed with 20g of high-quality protein, 5g of fiber, 24 vitamins & minerals, and anti-oxidants! 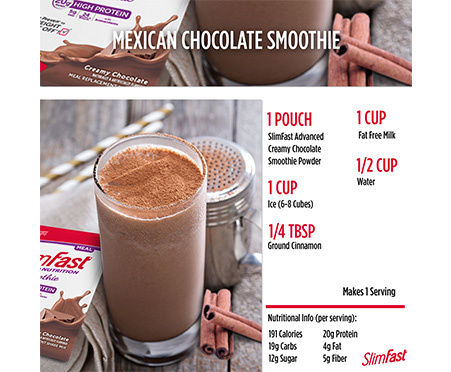 As part of the clinically-proven SlimFast Plan, these delicious gluten-free meal replacement options help control hunger for up to four hours, and help you lose weight and keep it off. Try deliciously rich flavors like Creamy Chocolate, Vanilla Cream, and NEW Mixed Berry Yogurt. The Clinically Proven SlimFast Plan is Easy as 1-2-3!